Androgyny is an ever growing trend that has officially made the journey to the United States. While America is certainly not the first culture to embrace gender fluid fashion, many designers are making it very clear that the trend is here to stay. In fact, some prominent designers including Veer NYC, Wildfang and even Gucci have come out with androgynous lines. Some celebrities have gone gender neutral as well; most notably Lady Gaga and Jaden Smith. A magazine did some research and found a few websites that specialize in androgynous clothing, which are displayed below. These websites focus on masculine clothing for women; however, gender neutral clothing for men is an ever growing area of the fashion industry as well. While many of theses options are not bank account friendly, gender bending is not just for the wealthy. Plenty of men find wearing women’s clothing empowering and vice versa. A lot of men like to rock heels and women’s jeans. Of course, girls and women wearing suits and the jeans and a t-shirt combo is nothing new. The fashion industry is now throwing not only stigmatized clothing on the opposite sexes, but the essences of masculinity and femininity are also being redefined with female models featuring traditionally male clothing so well, you wouldn’t know they were female. This is a threshold men have yet to reach, outside of drag shows. 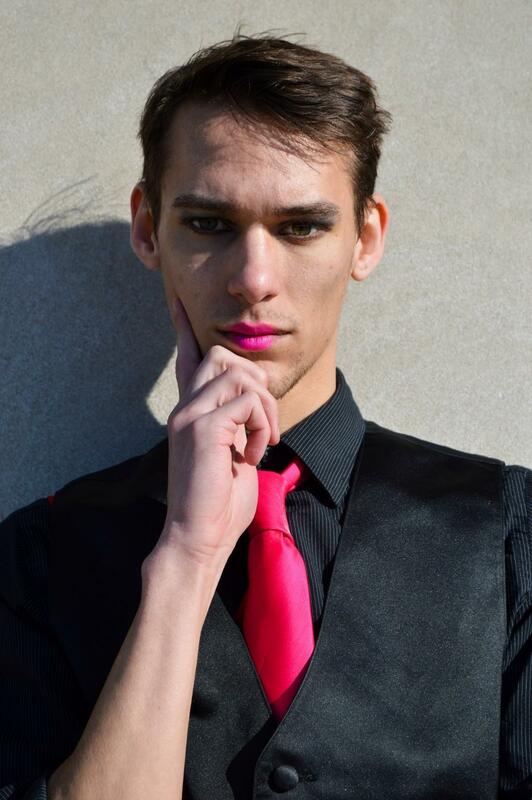 We did find some students around campus who were willing to show off their androgynous sides for A magazine. Below are some fashionable and affordable models who were willing to show pride in themselves and their styles.